When Ben and Emily first started planning their Charleston wedding, they wanted to keep it small, intimate and casual. They love their close friends and family and wanted to be able to enjoy them on their wedding day. Keeping their guest list small meant they could do just that. There were no attendants. It was truly an intimate feeling. They picked their venue, a cute little bed and breakfast near Charleston, and began planning their perfect day. Fast forward almost a year and what felt like a nightmare happened. The venue had to cancel. Being that they are in a residential neighborhood, the neighbors didn't appreciate all the traffic and noise that can come with weddings. Ben and Emily were the first to book a wedding there, but theirs wasn't the first to happen. With only 3 weeks until their wedding day during the busiest part of wedding season, they had a hard time finding another venue. They eventually decided to have their ceremony at the beautiful little beach house where her parents were staying and the caterers found them Hasell Hall on King Street in Charleston for the reception. Even with the hiccups that came along, they pulled together a beautiful wedding full of handmade decor and down home touches. Their ceremony took place in the morning with a little brunch afterwards. Then we traveled around Charleston, including Hampton Park where they first met at a midnight bike ride to do their romantic portraits. Later that afternoon, family and friends gathered to decorate the reception space and enjoy one another's company. At the end of the night, the couple led a tour of local breweries. I'd have to say that it all turned out perfectly. 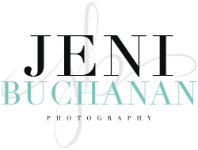 Contact me today to capture your perfect day! Jackie - how lovely! intimate weddings are the best!